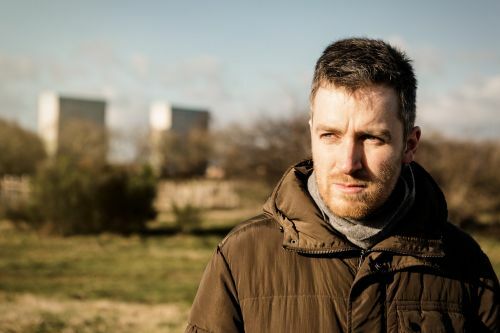 Pianist Richard Uttley performs a concert of works dealing with the notion of 'imperfection'. In Georg Friedrich Haas’s Ein Schattenspiel (Shadow play), the pianist faces the consequences of their actions as they attempt to duet with a distorted version of their former self. Michael Cutting’s I Am A Strange Loop V builds wonky ambient loops from the iconic Fender Rhodes electric piano and an array of restored tape machines. Naomi Pinnock’s Lines and Spaces is inspired by the paintings of Agnes Martin, which derive beauty from human, fallible renderings of geometric patterning. Kate Whitley’s new work was commissioned by the Yvar Mikhashoff Trust for New Music, whose annual prize Kate and Richard were the recipients of in 2018. Richard Uttley's playing is frequently broadcast on BBC Radio 3 and has featured on BBC Two, BBC Four, Classic FM and Sky Arts. He won the British Contemporary Piano Competition in 2006 and was selected for representation by Young Classical Artists Trust (YCAT) in 2011. He studied with Ian Buckle at the Junior School of the Royal Northern College of Music, before going on to read Music at Clare College, Cambridge (graduating with a double first in 2008) and studying with Martin Roscoe at Guildhall School of Music and Drama. He has since performed as recitalist and concerto soloist at venues including Bridgewater Hall, Cadogan Hall, Royal Festival Hall, Queen Elizabeth Hall, Wigmore Hall, and, further afield, at Banff Centre (Alberta), Klangspuren Festival (Austria), and on tour in China. A passionate exponent of new music, Richard has given major solo recitals at Huddersfield Contemporary Music Festival and regularly commissions new work. He has given world premieres of pieces by composers including Julian Anderson, Fransisco Coll, Michael Cutting, Rolf Hind, Matthew Kaner, Daniel Kidane, Naomi Pinnock, Mark Simpson, Dobrinka Tabakova, and Sinta Wullur. Richard is a visiting lecturer at City, University of London, besides teaching at the Guildhall School of Music and Drama and the Royal Welsh College of Music and Drama.